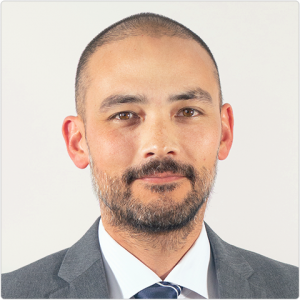 Donovan Wong, MD, joined Didi Hirsch as its Medical Director in 2018. In his role, he oversees a staff of 30 psychiatrists, nurse practitioners and nurses who are responsible for assessing and providing care for over 8,000 youth and adults annually. He also leads the agency’s initiative to integrate substance use treatment and mental and physical health care. Dr. Wong attended medical school at USC and did his residency in Psychiatry at UCLA, where he was awarded an APA/SAMHSA Minority Fellowship, which enabled him to help develop programs on alternative medicine, mindfulness and cross-cultural studies, as well as enhance the residency’s language capacity. He concluded his training with a fellowship in Public Psychiatry at Columbia University, where he focused on systems of care and public mental health. During that time, he also worked at the non-profit Project Renewal, serving people in shelters and on the MedVan mobile clinic. Dr. Wong is passionate about working with underserved communities and has a strong belief that all people should have access to high quality care, independent of their ability to pay. This belief has been influenced by seeing firsthand how loved ones have struggled to get adequate physical and mental health care. His past experience reflects his interest in community mental health and the use of technology to improve treatment and access to care. Prior to joining Didi Hirsch, Dr. Wong helped establish Los Angeles County’s telemedicine and primary care integration programs—two growing fields in mental health. He has worked extensively in telemedicine, including positions as Medical Director for Tamber Health and Doctor On Demand. Most recently, he was Medical Director of Behavioral Health for Solano County.